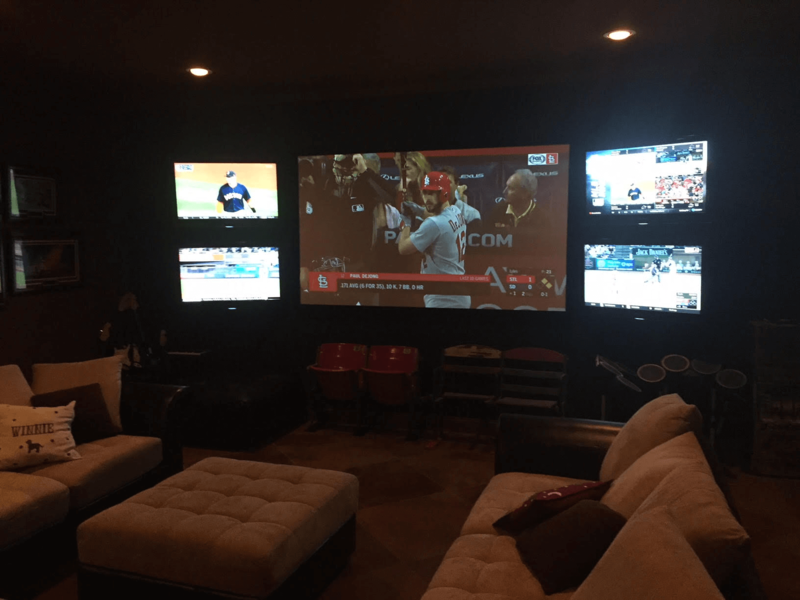 This man cave, dedicated to the St. Louis Cardinals, is a baseball lover's paradise. A man cave is just like any other personal space, except it’s one that men look to make their own. It’s a place to unwind after a long day of work or hang out with friends to watch the big game. But for some guys, a man cave can take on added significance. That’s the case for Kenny Hillyard, a St. Louis Cardinals superfan. 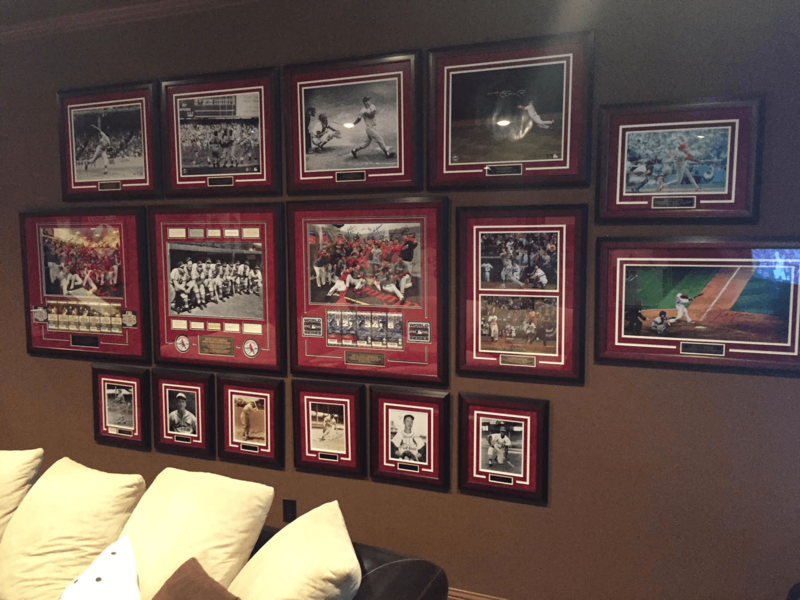 He’s an avid collector of all things Cardinals, and while his collection started with just baseball cards, it has morphed into a full-fledged shrine to Cardinals past and present. His man cave didn’t start off that way though. When he advanced his fandom from baseball cards to jerseys and photos, he didn’t have the space in his old house to display everything. So, in 2008, when Hillyard began to build a new home on five acres he had bought about 30 miles southwest of Dallas, Texas, including a man cave was a must. 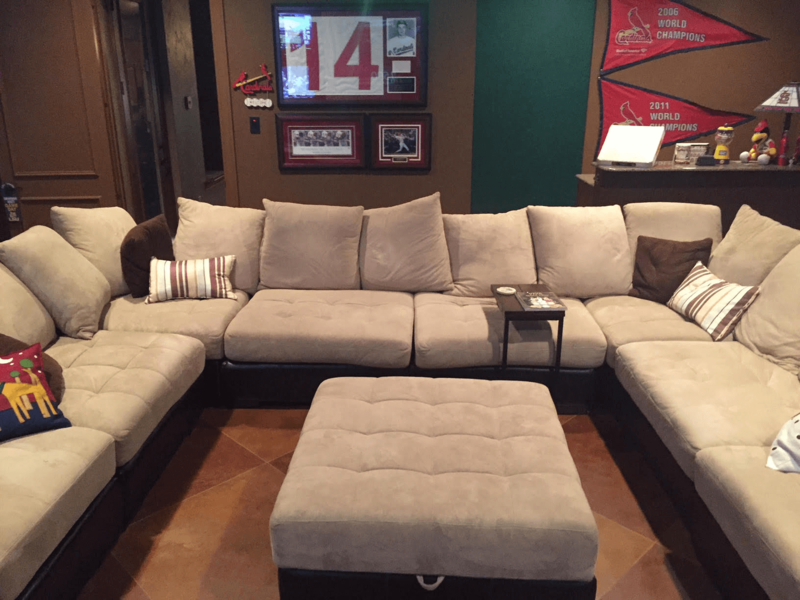 The man cave in the Hillyard home was designed to serve two purposes: for Kenny and his family and friends to watch Cardinals games (and other sports) and to feature his vast collection of memorabilia. Hillyard and his wife picked the back corner of the home for the man cave. The room itself is 20 feet by 20 feet and has no windows, to prevent sunlight from fading the autographs on the memorabilia and to control the lighting for viewing games and other shows. 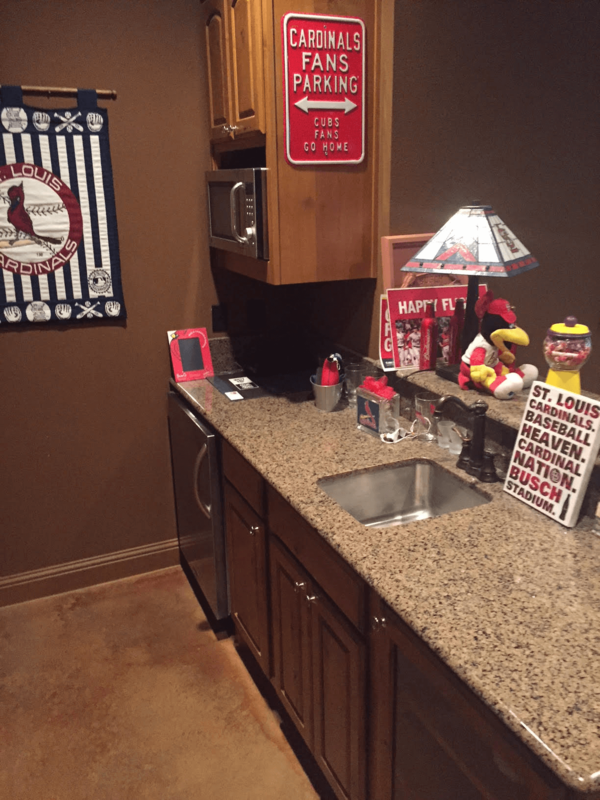 The Hillyards designed the man cave so they would not only be able to watch the Cardinals game, but also be able to watch other teams in the division concurrently — there are four 40-inch LCD TVs and one 120–inch projector screen. The Hillyards don’t have to miss any divisional baseball action with their TV set-up. The couch is a double sectional put together in a U-shape. Hillyard said this arrangement was selected over stadium seating to make it easier to talk when having friends over to watch the game. A comfy sectional is the perfect place for friends and family to gather to watch the game. 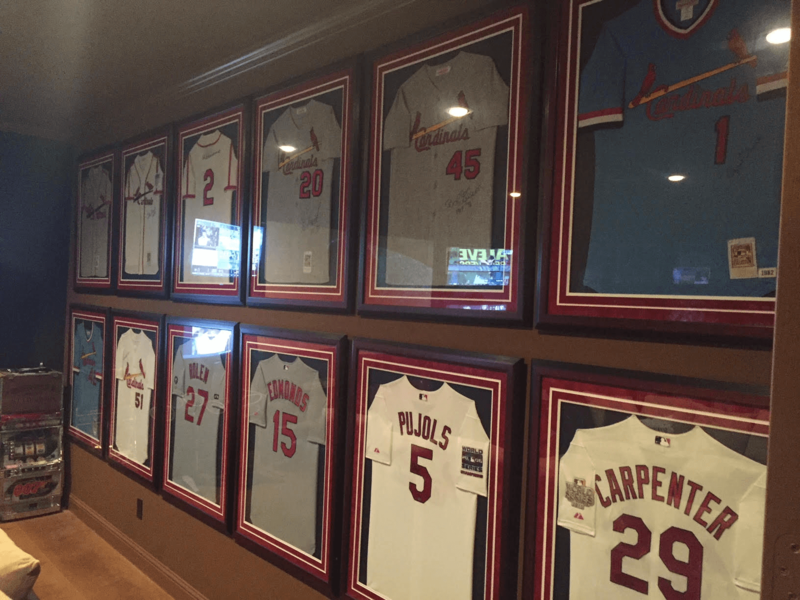 The St. Louis Cardinals baseball team has plenty of history, and Hillyard’s man cave confirms that. The left wall is adorned with photos of Cardinals greats, as well as significant events in the team’s history. A gallery of historical Cardinals photos highlight the left wall. Two of Hillyard’s favorite photos are show the 2006 and 2011 Cardinals World Series champion teams celebrating in the locker room after winning. “We got both of these pictures autographed by every member of those teams and got all of those autographs personally,” Hillyard said. 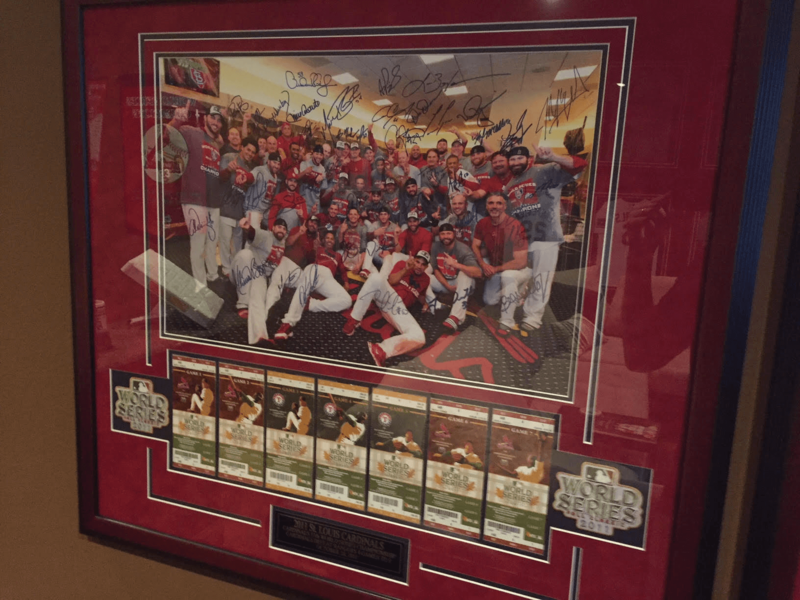 A prize possession is an autographed photo of the 2011 World Series champion team. The right wall was built with jerseys in mind. There are 12 jerseys of Cardinals players dating back to the 1940s. The right wall features Cardinals jerseys dating to the 1940s. “We knew we needed a lot of space for those jerseys so we had to design a room big enough,” Hillyard said. The back wall features a number of memorabilia pieces significant to the Cardinals fandom and baseball fandom as a whole. There is a piece of the outfield wall from Busch Stadium and a Ken Boyer retired number flag. The back wall also opens into a bar area containing a mini fridge, microwave, and sink, making a staging area for food and other goodies during games. A bar area, adorned with Cardinals décor, of course, provides a place to keep drinks and snacks. 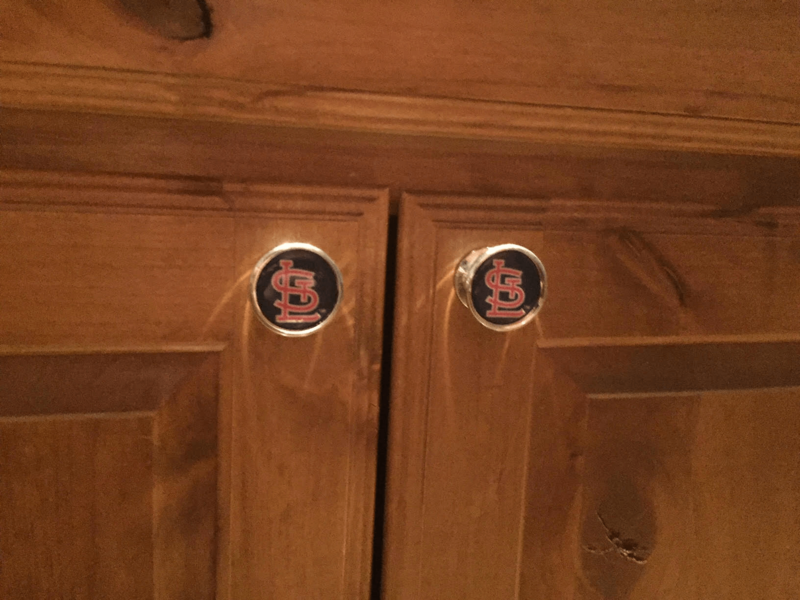 If you look closely, you’ll see the cabinet pulls in the bar have STL logos on them. One of the more interesting items on the back wall is a used base from a Marlins game. Mind you, the Cardinals played in the game, but the Hillyards purchased it because it signified that Kenny and his wife had been to all 30 Major League Baseball stadiums together. The front wall features an homage to Cardinals stadiums of the past. There are two sets of stadium seats, one from Busch Stadium I, from 1966, and the second from Busch Stadium II. 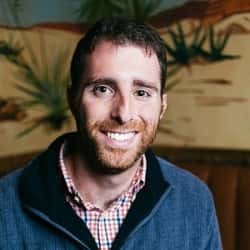 “The Busch Stadium II seats are our actual season ticket seats that we were allowed to purchase when the stadium was torn down,” Hillyard said. When developing the man cave, the Hillyards knew they wanted a consistent look for the memorabilia and photos to be displayed. They used the same framer and the same mat, frame, and border styles for each piece. Putting the room together has been a true labor of love for Hillyard.